Erik has been involved with NutriLeads since 2014 and became a co-founder with Ruud in 2015. He started his career at Andersen Consulting before entering the Life Sciences & Healthcare industry in 1993 at Baxter. At Baxter he held a variety of international marketing and general management roles up to VP Renal EMEA. 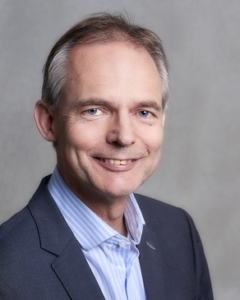 In 2005 Erik joined the Medical Nutrition division of Numico (acquired by Danone in 2007) where he held various global VP roles in strategy, finance, sales and general management. He started his own consultancy company at the end of 2013 with a focus on commercialising Nutrition, Life Sciences & Healthcare innovations. Erik holds an MSc in Mechanical Engineering from Delft University of Technology and an MBA from IMD in Lausanne, Switzerland.